Unfortunately, for the majority of us, apart from the lucky few, our working lives are dominated by sitting at a computer or travelling sat down in either a car or on a train. There is now enough compelling evidence demonstrating that too much time spent sitting causes increased risk of chronic illness, injury and shortening of your life. The reason we evolved as a species from apes was our ability to hunt and gather better than any other mammal, we were designed to move around and as the only mammal to be bipedal we were designed to stand on two legs. The average adult, human head weighs ten pounds, therefore maintaining perfect posture, for any longer than 40 minutes at a time is probably unrealistic. In fact, the latest evidence suggests that there is no perfect position to sit and the healthiest way to look after yourself is to change your sitting position frequently throughout the day. 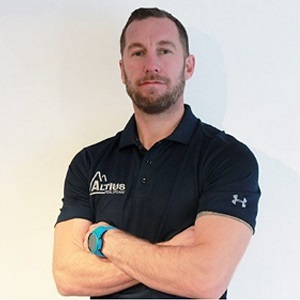 Doug Jones director of Altius Healthcare has kindly shared some of his expert knowledge of the industry with us today, over the past 15 years he’s worked with the likes of England Rugby, Sale Sharks, London Wasps therefore arguably worked with some of the fittest and strongest people in the world. He’s since started his Sit Strong program, teaching you about your posture and how to improve it with exercises you can do in your work chair or at home. The program suggests four key areas we need to be more aware of when it comes to sitting, and those are Neck stability, Upper back stiffness, lower back stability and Hip stiffness. 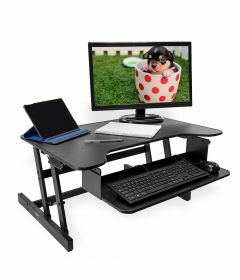 Back pain help’s Standing Desk is a fantastic tool to complement the Altius Sit Strong program. Evidence suggests just taking a 10 min break from sitting every hour will undo what the chair is doing to you and therefore reduce the risk of the injury and illness associated with prolonged sitting. For you to stand safely you will need to condition your body to do this and targeting the four zones of the body with the sit strong program will be key to keep you safe either standing or sitting at your desk making you more productive at work and at less risk of injury or illness. 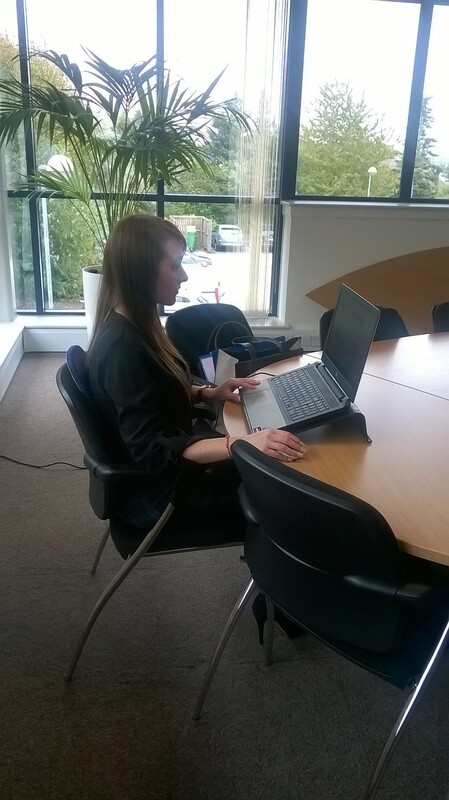 Essentially a large proportion of Doug’s patients who are of the younger generation who are suffering with, back, neck and shoulder pain aggravated by prolonged sitting. Once a patient is in pain a chronic cycle of pain, then begins a set of a cascade events. The Pain through postural overload results in muscle spasm, which in turn causes muscular inhibition, then weakening the muscle. You only need to be in pain for a week or so and the muscles inside the neck will decondition and you will start to protract your chin (poke your chin out). This causes shear force across the base of your neck and pressure builds in the discs and joints. The neck muscles then go into spasm to try and prevent this from happening but only make things more painful, and so the cycle continues. Altius Healthcare is currently taking healthcare to you and your office environment teaching you in your workplace how to sit strong and undo the effect the chair is having on your health through a series of wellness in the workplace sessions. According to a recent statistics, 31 million work days were lost due to back, neck and muscle pain in the United States. This shows the importance taking care of your Back, and being more aware of ways we can treat our Back’s better. According to Doug, on a daily basis patients in his clinic are showing signs of “Chair shaped spines” where they have lost much of their strength in the hips and back. Also, their stability is poor, therefore become very stiff in their spine, hips and shoulders. In Doug’s experience, he’s found that in professional sport, much of his time was spent preventing injury happening and his observations of current healthcare either private or public is focused on treating problems as they arise. 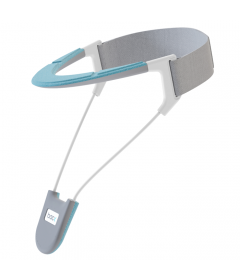 While teaming up with ourselves BackPainHelp, we intend on providing knowledge and products to reduce the amount of time that we spend sitting and undo what the chair is doing to us. Over the next few weeks, we will alongside Altius Healthcare be providing lots more great information about how to treat your Back better. This will involve various exercises, stretches and preventive actions to be a Better you.